THE Former Origin Greats organisation has always been about Queenslanders helping Queenslanders. Now, with the ARTIE Academy’s TAFE Tutor Partnership, we are seeing Queenslanders helping Queenslanders helping Queenslanders. 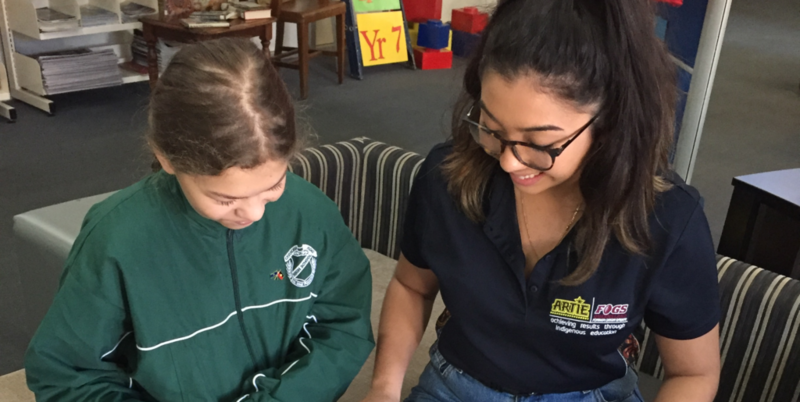 Under the new partnership, TAFE students studying Community Service, Youth Work or Education Support are providing support in literacy and numeracy to ARTIE Academy students. This not only helps the school students improve their academic performance, but helps the TAFE students enhance their skills for their future careers and work through their 100-120 hours of volunteer work required as part of their learning. “We partner them with our schools, so they can go in there and improve their knowledge base and put the theory of what they are learning at TAFE into practice,” said ARTIE Academy Program Manager Jess Cuthbertson. “It is a win-win for both organisations. “The role that they do is very similar to the role that they will go on to do in their professional careers – especially in education support. So far more than 100 students have been involved in the program, which equates to over 5000 hours of in-class support, and Jess said the response to the ARTIE Academy students had been phenomenal. “We have had a wonderful reaction to the program from the students and the teachers,” she said. The impact on the TAFE students has been just as impressive. Caroline Duncan, who has been tutoring in the program at Cavendish Road State High School, is studying youth work at TAFE and said working with the ARTIE Academy had been a perfect precursor to her future career. “The program is totally amazing,” Caroline said. “It is the perfect way to ease yourself into working with children. “The young people that I was dealing with were just so respectful, and had a laugh. But we also got the work done, and it helped to instill the work ethic that they should have and helped with their organisation. “I found that they were loving coming to school while I was there, which was an awesome thing as well.